Last week, Samsung filed a new patent with the Korea Intellectual Property Rights Information Service (KIPRIS). 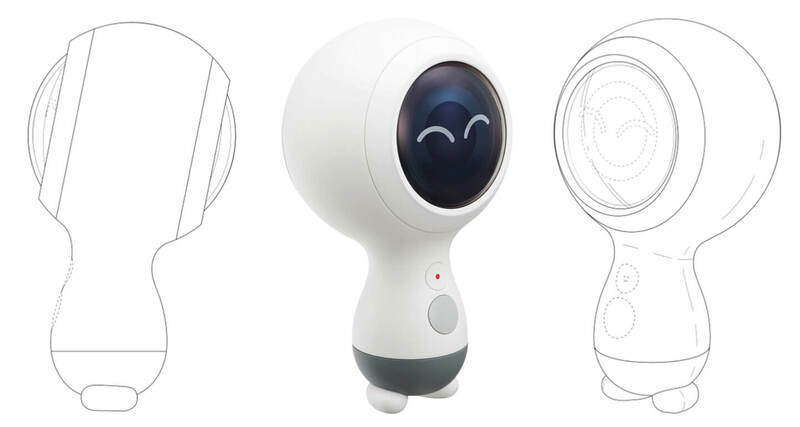 The patent contains design sketches and product photos of the new Samsung Gear 360 (2018). The pictures show a new, playful and ergonomic design. 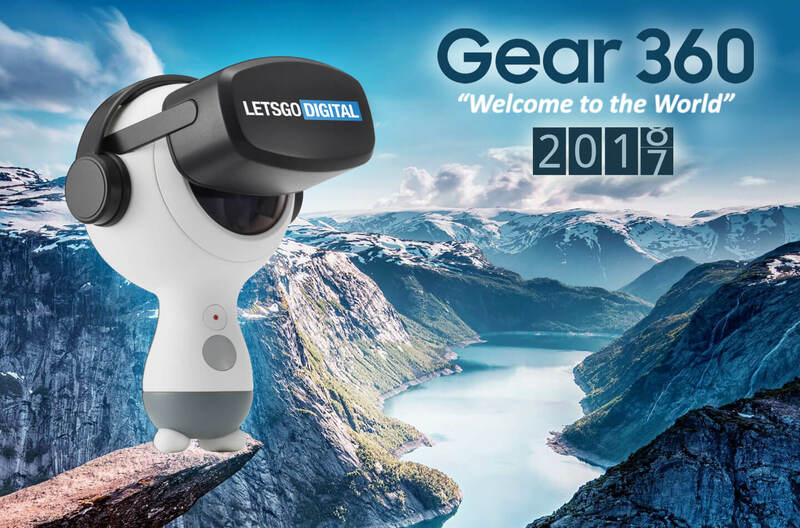 In March 2017, Samsung launched its second Gear 360 camera. In terms of design, the Gear 360 (2017) was very recognizable, but also very different. The first model (2016) came with a little tripod to mount the camera. The current 2017 model has a much more handheld friendly body, enabling users to hold the camera while recording 4K videos. Additionally, several new features were added. This year’s 4K camera is better able to stitch pictures together, allowing users to take beautiful 360 degree images. Other new features include HDR landscape, looping videos and the ‘small planet effect’. It is also possible to live stream videos to Facebook, YouTube and Samsung VR. 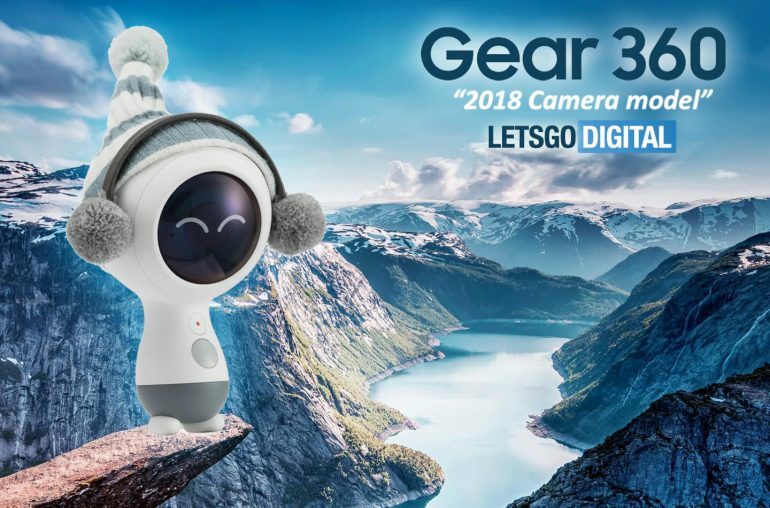 With the Samsung Gear 360 (2018), the Koreans seem to change the design again. The new 360 VR camera becomes a smart combination of the previous models. The 360 camera has a playful design with small feet, which are not in the way when you hold the camera, but they do offer extra firmness for the moments you like to put down the camera. Similar to the 2017 model, the video record button is placed on the front of the Gear 360 camera. Initially, this button was placed on the top of the device. Further, the little display -positioned directly beneath the record button- seems to get replaced in 2018 for a round gray button. But there is also something strange about the Gear 360 (2018) camera. What are those eyes doing there? And why aren´t we seeing any tripod socket? The 2016 model was introduced at the end of February, while the 2017 model was unveiled in March. The Mobile World Congress 2018 will take place February 26 to March 1st. In the timeline, the Samsung Gear 360 2018 could very well launch at MWC in Barcelona. But as this is a ‘mobile’ event, it is also possible for the VR camera to arrive just after this event. During launch the Gear 360 2017 had a suggested retail price of €250 / £200 / $230.